By planning your preaching calendar in advance, you can lower your stress, increase the creativity of your team and leverage the calendar more effectively than ever before! 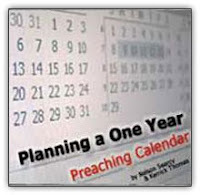 While you’re at it, be sure to sign up for one of the FREE “How to Plan Your 2010 Preaching Calendar” Webinars next week – 4 times to choose from! In each of these webinars, Nelson Searcy will walk you, step-by-step, through the actual planning process for next year. He'll point out the holidays to look for: Super Bowl Sunday, Easter, when to plan your Big Days (and when not to plan them), and much more! 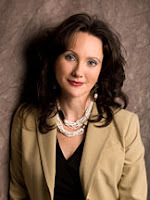 continue reading "Planning A One Year Preaching Calendar + FREE Webcast"
continue reading "Songs of Deliverance"
Recently, I had the opportunity to listen to a teleseminar hosted by Lynne Lee of Christian Life Coaching. Lynne's guest that particuliar week was Carrie C. Stone. The topic of discussion was entitled, 'How to Discover Your Destiny in Your Identity.' The call was amazing; I totally recommend it. Carrie also shared about her upcoming '4 Weeks to Freedom' classes. If you are ready to find out your God-Given Destiny, overcome the paralysis of fear, and live the life of your dreams - THEN this course is for you! 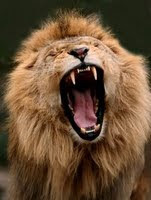 Once you know WHO you are and WHOSE you are, you will find it easier to discover your God Given Destiny. Get More Information about Four Weeks to FREEDOM! continue reading "4 Weeks to FREEDOM! * revised dates"
You can listen or watch the message here. Ouch! 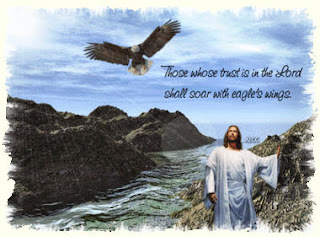 See we’ve trusted Jesus as our Savior, but many of us have not trusted Him as Lord and the obvious outcome is our lives as Christians doesn’t look that different from non-Christians. In this series we’re going to talk a lot about the gap between “current you” and “imagined you”. It’s the gap between who you are today and the person God imagined when he thought you into existence. Most of us are aware of the gap and even though we know we can’t close it based on our human effort,but we try anyway. Daily I’m tempted to deal with the gap by just faking it. Just pretending there isn’t a gap. I wear a mask that portrays I have it all together even though I know inside I’m dying. I pretend I’m the father I’m not. I pretend I’m the husband I’m not. I cover up my weaknesses and hope nobody notices. I’ve often been tempted to think I could close the gap if I just had a higher level of commitment. If I woke up a little earlier so I could pray 15 minutes longer. If I read five chapters a day instead of my two chapters. If I joined two small groups instead of just one. If I could make myself miserable then it must be spiritual. This is a common temptation in our culture today. We even have a term for it called “church shopping”. When we realize there is a gap we blame it on the church we’re attending. If I’m not growing it must be their fault. So if I switch churches surely the next pastor or the next program will be able to help me close the gap. Right? Wrong! This is when you decide to stop even worrying about the gap. You know it’s there, but you’re tired of not making progress so you just simply quit. 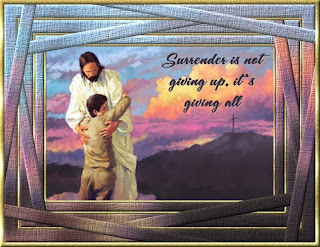 You know you’re not the man or woman God has called you to be but you just give up. You decide to settle for mediocrity. You're tired, frustrated and you feel hopeless. How about you? Do any of these ring a bell? How are you tempted to close the gap? 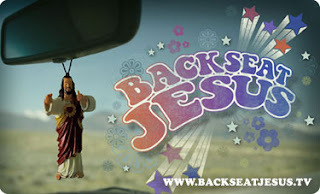 Watch or listen to Backseat Jesus. continue reading "Sermon Series: Backseat Jesus"
The EvangeCube is a seven panel cube that tells the story of the Gospel of Christ in pictures. It is used by millions around the globe. Would like to join an Evangecube Outreach? continue reading "Unfolding the Answer to Life's Greatest Puzzle"
40 Days for Life "BELIEVE"
* Learn about the comprehensive results from this fall’s 40 Days for Life campaign — the impact is even BIGGER than you think! * And some additional surprises! during this crucial next year! 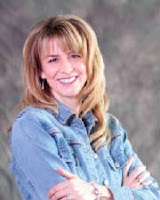 continue reading "40 Days for LIFE - National Simulcast"
continue reading "Easy Way to Remember the 10 Commandments"
~ a place to find out information on a whole host of topics: advertising, blogging, Christian affiliate marketing, featured members, giveaways, guest posts, podcasts, reviewing and social media. * What Makes a Blogger a Christian Blogger? continue reading "Using Your Blog for the GLORY of God"
Now a kindly word of YOU? Did you waste the day or use it? By what you have done today"? 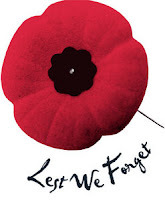 continue reading "At Day's End"
So their prayers won't be in vain. From the shoulders of the meek. So your countenance they will seek. 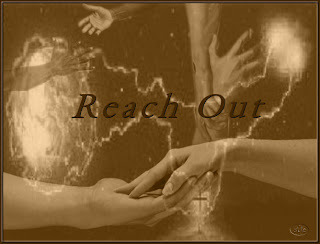 Reach out and touch the homeless, Lord. Give them shelter from the storm. Nourish their bodies with good food to eat. From your blanket of love, keep them warm. As your blood flowed free down Calvary hill. Yes, LORD...help me to be someone who cares...help me to be the 'answer' to somebody's prayers. continue reading "Someone Who Cares"
Colors so beautiful to the naked eye. Blowing ever so gently in the breeze. Nothing on earth could such replace. Oh the majestic colors on display! The fragrance alone brings a hallowed Amen! That sparkle so bright after evening showers. As Fields of flowers in sunshine beam. To my wondrous eyes is pure delight! Your Glory on earth again displayed! The Beauty of Earth, land, sea and sky! For your Creatures on earth who Worship You! No artist on earth could paint such a story! Nothing on earth compares to Thee! I am doing a mighty work in your life. allow Me to take you into a place of beauty. I will cause you to grow and dance. the other eye is distracted by many other things. I want your full attention. he comes to kill rob still and steal your joy. come out of hiding and be My witness. you don't need man's approval. Begin seeing all that was lost or stolen. 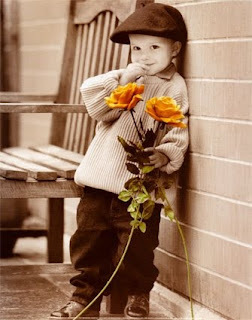 Do less complaining and more loving; stop the grumbling. Use that precious time for My glory. It's time to move to the next level. 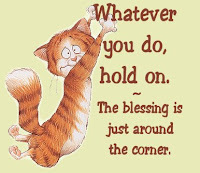 Too Blessed to be Stressed and Too Anointed to be Disappointed! to be sad or to cry. My eyes are on my GOD! My prayers have reached the heart of God. I am resting in His love. 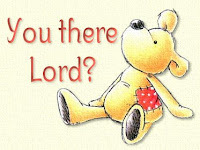 I give thanks to Him in everything. My eyes are on His face. He will help me win the race! I repeat, "I'M TOO BLESSED TO BE STRESSED!" continue reading "Too Blessed to be Stressed and Too Anointed to be Disappointed!" 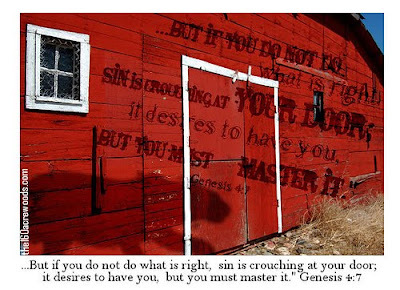 Are you still struggling with sin? Are you struggling with your private thought life with things that you know are not pleasing to God? Do you have a lack of victory in your life? Do you lack the authority of God in your life? Do you seek to please men rather than God? Are you so busy that you can't be quiet? K.P. Yohannan shares his thoughts... watch this video . 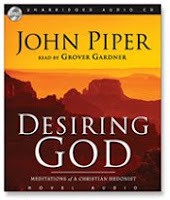 Desiring God by John Piper is the FREE audiobook download for November; special thanks to Christian Audio! Desiring God has been one of the best-selling and most popular titles ever published by Christian Audio! Scripture reveals that the great business of life is to glorify God by enjoying Him forever. In this paradigm-shattering classic, newly revised and expanded, John Piper reveals that the debate between duty and delight doesn't truly exist: Delight is our duty. Join him as he unveils stunning, life impacting truths you saw in the Bible but never dared to believe. To receive your free audio download of Desiring God, add the download format to your cart and enter the coupon code NOV2009 when prompted during checkout. Join Christian Audio on Facebook for exclusive offers, discussions and much more! All John Piper audiobook downloads are only $4.98 each until November 21st! Excellent deal!!! continue reading "Desiring God - FREE Audiobook"
One of the things I have noticed in my life as a believer is, just before or right in the middle of your promise manifesting, a distraction will come. Something will come into your life to try to get your eyes of God and the reward that is with Him. We saw it in the life of Peter. He did the most amazing thing. Yet right in the middle of it a distraction came that took his eyes off Jesus. We know the story - Peter began to walk on water. My goodness! How that must have felt, to literally walk on something that shouldn't be holding you up. Then, the wind began to blow and it caused the waves to increase in size - suddenly Peter got his eyes off Jesus and on the distractions and he began to sink. As I said, these things often happen right in the middle of something wonderful happening. But their sole purpose is to take your eyes off the moment, the manifestation, the time where you are literally walking on water WITH Jesus. Don't allow distractions to take your eyes off Jesus. Proverbs 4:25 says in the Message Bible; Keep your eyes straight ahead, ignore all sideshow distractions. Ignore the distractions. Distractions come from the enemy. The Bible tells us to give the enemy no place in our lives; that means we shouldn't even give him our attention - regardless of how he is trying to get it. Remember, if the enemy wants to get your eyes ON something, he also wants to get your eyes OFF something. Keep your eyes on God. With all that being said, I will say this; a distraction may come in many forms, it may be in losing your job, or a child misbehaving, or it may even come as something that appears good, like an old friend coming into your life after a long time. IF IT TAKES YOUR EYES OFF GOD; ignore it and avoid it - it is a distraction. The Bible says that we stay in PERFECT PEACE when our mind is stayed upon God. Peace is shalom, nothing broken or missing in our lives, to obtain this kind of peace that God gives, we must keep our eyes and our thoughts upon Him. When we do that, distractions will have no place in our lives. I believe many of us have begun to walk on water in the spirit - let's keep our eyes on Jesus, the Author and Finisher of our faith and let's continue to walk on water. A New Thing Ministries was born out of a desire to teach God’s people how to gain victory in every area of their lives. To show them they can have real change in their lives by applying the Word of God. To make disciples, as God has commissioned us to do. What's distracting you today? Spend some time getting your eyes back on Jesus! Be intentional about 'keeping your eyes' on Christ; rather than your circumstances or distractions around you. The truth of the gospel never changes. But Christianity has many faces. They reflect the customs and cultures and the beautiful diversity of the global church. They are lined with the wisdom of age and vibrant with the passion of youth. One gospel for all the world…but how will we deliver it in a way that reaches the whole world? How will we reach the next generation? Young Christians today are more like St. Francis of Assisi than a circuit riding preacher. “Preach the gospel at all times and when necessary, use words.” This is a generation focused on being the hands and feet of Christ and meeting the physical needs of those in both the local and global community. They are building houses, planting gardens, taking food and clothes to the poor and helping the widows and orphans… and then they are sharing the gospel. And they are using technology like never before. They communicate the message through audio, film, video and the internet, and they strive for excellence within those mediums. They must. This is how they will reach their generation for Christ. I share their passion. In the film, The Gospel According to Matthew, we were able to capture the heart of Christ that is so often missing in Christian films, but the quality of the film making was constrained by an $800,000 budget. Now we are inspiring a movement that will bring Jesus to film in a version that literally leaps off the screen and into the hearts of viewers. 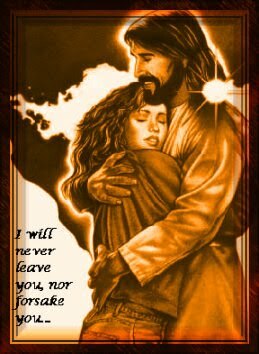 Jesus…No Greater Love, the new Jesus movie, (http://www.newjesusmovie.com/) will be a word for word, verse by verse film adaption of the Gospel according to John. The gospel is the power of God unto salvation. That’s really our concept, that the gospel would go out in the power of the film medium, unaltered by any human script writer. The budget for a typical Hollywood production is $100-110 million. Actors’ salaries account for much of that cost. Because the new Jesus movie will be not be paying big name actors, our team believes we can produce a world class, state-of-the-art film incorporating the latest cutting-edge technology for just $45 million. The production will be shot on location in Jerusalem and shot digitally using CGI backgrounds and a green screen stage, providing unlimited potential for sharing the gospel for generations to come. We are inviting people from all nations and all generations to join this movement to bring the gospel to all people. A movement made of 4.5 million people contributing a tax deductible donation of $10 each would fund the cost of the film. The Gospel belongs to everyone, and the new Jesus movie will be produced expressly so it can be accessed by everyone, no matter their financial situation. Our team's vision is to see the film translated into as many languages as possible and supplied to mission organizations and churches all over the world. Bruce Marchiano is an actor, author, international speaker, and the founder of Marchiano Ministries, a non-profit organization reaching out to people both spiritually and practically in the USA and across the world. 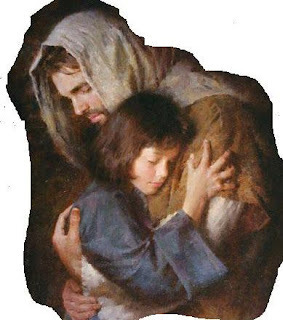 He is best known for his joyful, passionate portrayal of Jesus in the film, The Gospel According to Matthew. continue reading "The Jesus Movie"